Even rained on, 'The Originals' actress, Danielle Campbell, shows us how to rock the red lip. 4. 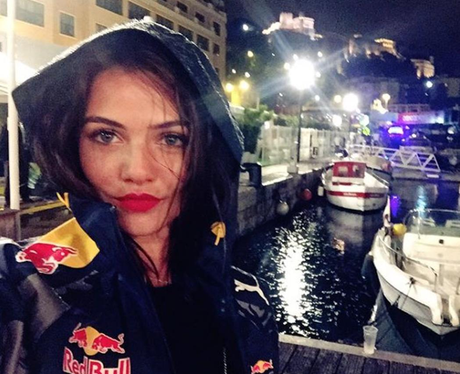 Even rained on, 'The Originals' actress, Danielle Campbell, shows us how to rock the red lip.